PDM Healthcare increases value for our clients by profitably designing, developing, marketing and selling business solutions for the healthcare industry to improve their financial outcomes and quality of care. PDM works with pharmaceutical, medical device and other product and service suppliers to strengthen and maximize their contracting practices through sales and marketing solutions that have been proven to effectively increase market share. Suppliers spend significant time and resources getting new drugs, devices or other products to market and have a short window to capture maximum revenue and profits before their product life cycle is eroded by competition, generic availability and new product developments. Pharmaceutical and medical device manufacturers design and create the products that treat patients, improve clinical outcomes and enhance the patient’s quality of life. PDM supplies the Strategic Sales Solutions to assist in navigating and utilizing healthcare’s dynamic and competitive environment. PDM’s staff of highly trained and experience sales and marketing associates are available to support your existing sales and marketing efforts. With established relationships within all sectors of the healthcare industry, PDM continues to enjoy great success through a variety of marketing channels including direct calls and emails, as well as both online and print advertising. PDM’s staff of professional graphic designers are also available to assist in the development of print and online marketing materials that will effectively create interest in your products and services. Whether you require a complete design from start to finish or the simple task of properly formatting and laying out your content, PDM’s team uses the latest standard graphic design applications to ensure your design is completed to industry standards in an efficient manner. 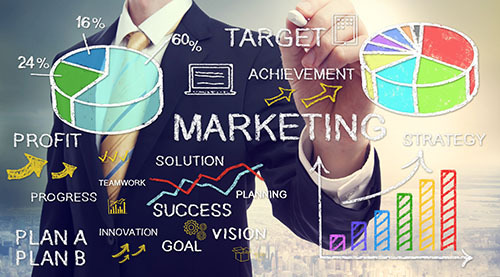 Regardless of the target of your marketing efforts, PDM will get your message to them in the most effective and efficient way possible, ensuring that your efforts reap the requisite rewards. Don’t let your competitors have your share of the market, call PDM today to begin your new marketing campaign.